The barn represents the perfect marriage of form and function in American architectural history. At Wilson Hill Carpentry, we design and build timber frame barns and outbuildings to suit our clients’ aesthetic sensibilities along with their practical needs. We use traditional mortise and tenon joinery in our frames, employing a building method practiced for thousands of years. Each structure is an original handcrafted work built to last for generations. We are also committed to using local materials and natural products in our buildings. Our timbers are harvested in the forests of western Massachusetts – one of our region’s greatest renewable resources – and then sawn in local sawmills. 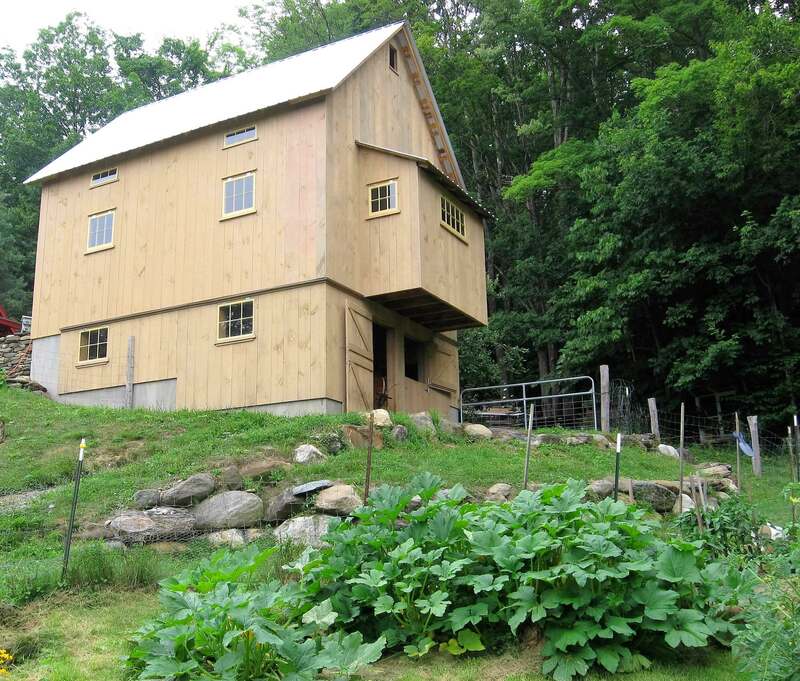 Whether you need a shelter for your livestock, a building for equipment or storage, or you want a cabin, studio, or addition for your family, a timber frame is a durable and a beautiful building option. Call to arrange an on-site meeting, or make an appointment to visit our solar-powered, wool-insulated workshop. yet they have returned to life.